The Pro Stability Ball by GoFit at Bodybuilding.com - Best Prices on the Pro Stability Ball! 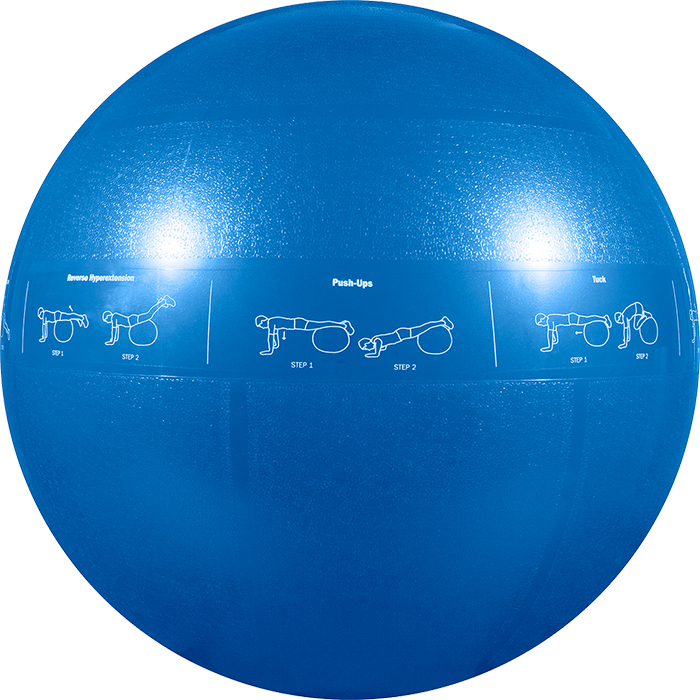 The GoFit Pro Stability Ball is designed to stretch, tone, and tighten your entire body. The exercise challenge from working out on an unstable surface engages your core stabilizer muscles that are not normally challenged when on a stable surface. Each kit includes the ball, foot pump, full length exercise DVD, and ball plugs. This is a true stability/exercise ball. Firm and stable enough for a 200+lbs. body. Love it and worth the extra few dollars. Great exercise ball! I not only use it for exercise but have also used it as a birth ball and to sit on. Only reason for 9 stars is the product I received looks different than pictured. It has a strip of recommended exercises around the middle. Would've preferred the one pictured without it.